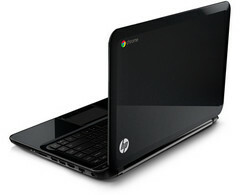 It appears that this was not just a rumor and HP will indeed release a laptop based on Google’s Chrome operating system. Today, the US manufacturer officially announced the Pavilion 14 Chromebook (the biggest Chromebook available on the market) with a 14-inch high-definition (1366-by-768 pixels) LED-backlit display, an Intel Celeron chip and integrated Altec Lansing stereo speakers. For more information, hit the PR after the break. 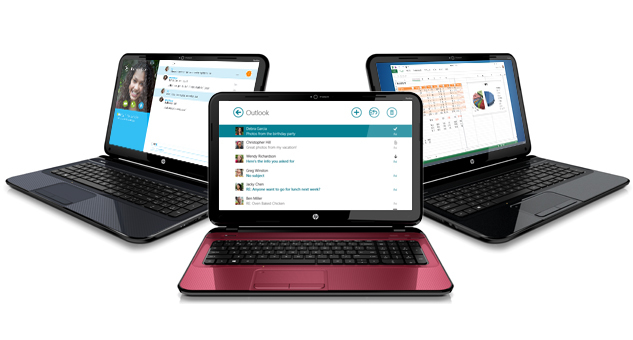 PALO ALTO, Calif., Feb. 4, 2013 — HP today announced its first Chromebook, widening the company’s extensive PC and workstation portfolio and expanding its multiOS approach to offer customers more choices. The HP Pavilion 14 Chromebook boasts a display that’s approximately 2 inches wider (diagonally) than any other Chromebook in the market today. It provides a fast and easy gateway to a seamless Google experience with popular products like Search, Gmail, YouTube, Google Drive and Google+ Hangouts for multiperson video chat as well as access to apps in the Chrome Web Store1. A 14-inch diagonal design provides an ideal balance of mobility and comfort, while the HP BrightView display lets users see and surf easily. 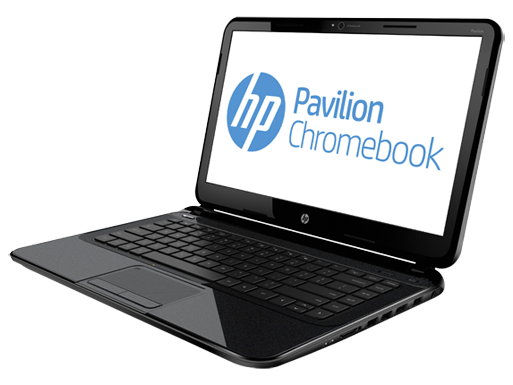 The HP Pavilion Chromebook joins HP’s PC portfolio as an ideal companion PC for the home. 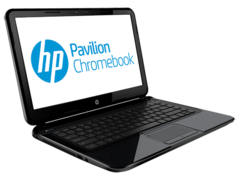 With the HP Pavilion Chromebook, customers can effortlessly and quickly access Google applications, social networks, websites1 and other content such as photos and documents. Constant automatic updates to applications and the Chrome OS mean that software and security is effortlessly kept up to date. 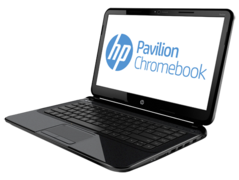 Powered by an Intel® Celeron® processor and Intel high-definition (HD) graphics2, the HP Pavilion Chromebook includes a 16GB solid-state drive for fast start-up times. Extra hardware security via the built-in Trusted Platform Module (TPM) protects against unauthorized access to sensitive data and credentials so customers can feel confident that personal data is protected. The HP Pavilion Chromebook weighs just under 4 pounds3. A full array of ports including HDMI, USB 2.0 and Ethernet jack, and a combination headphone and microphone jack allow for fast and easy connections to displays and other devices. 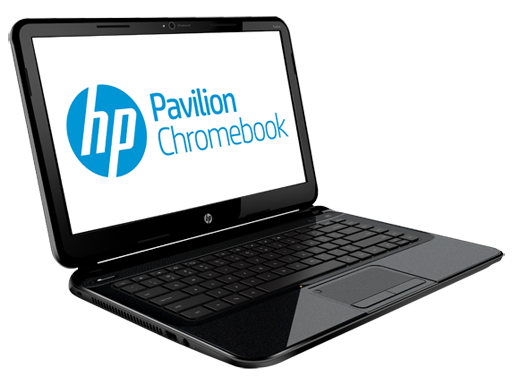 The HP Pavilion Chromebook features an HP Imprint design in sparkling black, up to 4 GB of memory and a removable battery. An HP TrueVision HD Webcam2 offers superb viewing experience, even in low lighting conditions. With 100 GB of free storage on Google Drive for two years4,5 customers can access their content from any internet-connected device—while at home or on the go. Plus, users can visit the Chrome Web Store to customize their HP Chromebook by downloading applications for work or play.